After the ceremony, the cocktail hour, the dinner and the dances, there’s often room just to really let loose. Howl2GO’s dueling piano show is a great alternative to the traditional wedding band or DJ. 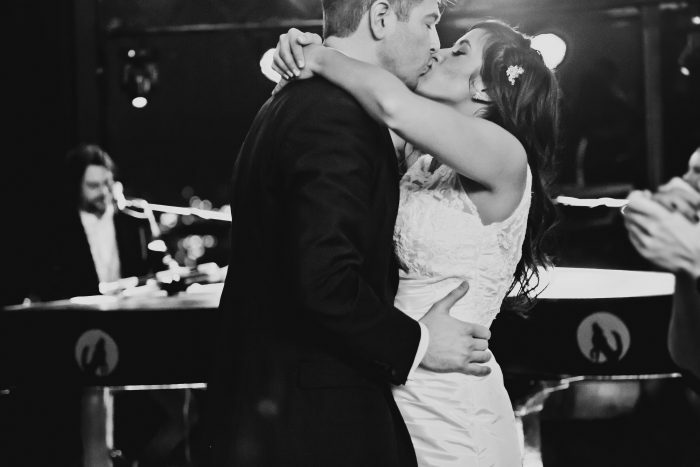 We provide musical entertainment throughout your big day, from start to finish. If you have a really big group and want to keep the party going into the wee hours, why not consider booking a room for an afterparty? The Standard Club provides many different areas that are perfect for the late nighters. Our entertainers keep the party going long after most people have retired for the night and this venue is a favorite for us to play the party after the party! A 5-Star Private Club, The Standard Club is one of the most sought after memberships in the city. The gorgeous facility that serves as the headquarters of the club includes an abundance of different rooms to lounge, as well as a private dining area, guest rooms and more. The Standard Club has an extensive history that goes all the way back to 1869 when it was founded. The mission of the club since its inception has been to serve as a model for what citizens of the city of Chicago should strive for. This is accomplished by attracting influential business and community leaders that use the club to network, create bonds and have a good time. The Standard Club also has a strong focus on charity. The Standard Club is an excellent place to host a variety of different functions, and regularly hosts club events for the entertainment of their members. All of this combined makes the Standard Club one of the most sought after memberships in Chicago.